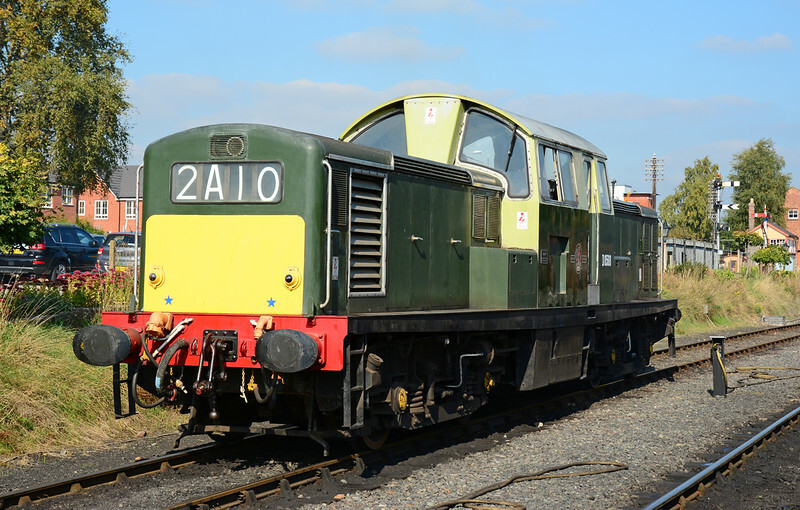 October 2015 inc Severn Valley Diesel gala. I had never seen this locomotive move. So the chance to photograph & travel behind it was duly taken. Class 17 D8568 is seen at Kidderminster 02/010/2015. The only survivor from a build of 117, plagued by Camshaft & Cylinder head failures, the class 17 lasted less than 10 years in BR service. This example making it into industrial use & then preservation.